Forget bus schedules or navigating your own way through WA. This guided adventure takes you with a small group from Perth to Northbrook, round-trip. 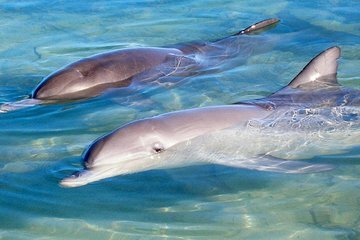 Leave the itinerary to your guide during 4 days that include the Pinnacles Desert, Shark Bay, Kalbarri National Park, Shell Beach, and the dolphins of Monkey Mia. Overnight accommodation includes hostels and a farmstay. Meals and convenient hotel pickup are provided.